Learn guitar today! Includes Les Paul SL™, MityPRO™ amp, eMedia lessons, & more! Epiphone presents the new Les Paul SL™ Starter Pack with everything you need to start playing guitar today at a price anyone can afford! Featuring a Les Paul SL™ with single coil pickups, a battery operated MityPRO™ amp, and an Epiphone gigbag plus a clip-on tuner, picks, strap, and free online lessons from eMedia. Available in Ebony, Heritage Cherry Sunburst, Vintage Sunburst, Turquoise, Pacific Blue, and Sunset Yellow. The Les Paul SL™ Starter Pack features the critically acclaimed Les Paul SL™ with a Solid Alder body and a Hard Maple neck. 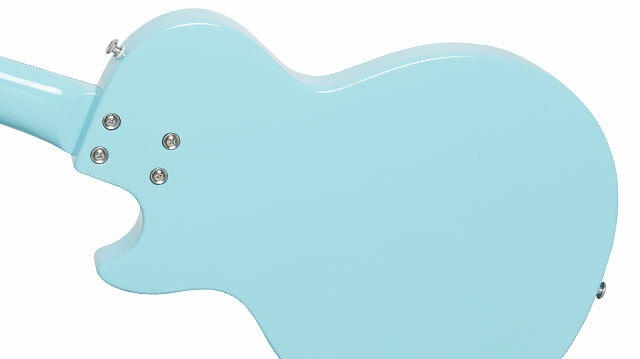 The Granadillo fingerboard has classic pearloid “dot” inlays and standard medium jumbo frets. Tuning is fast and accurate with Epiphone machine heads with a 14:1 tuning ratio along with Epiphone’s Adjustable, Intonated "Wrap Around" Stopbar Combo bridge. The Les Paul SL™ is powered by an open coil 650SCR™ single-coil pickup in the neck position and a 700SCR™ single-coil pickup in the rhythm or bridge position. 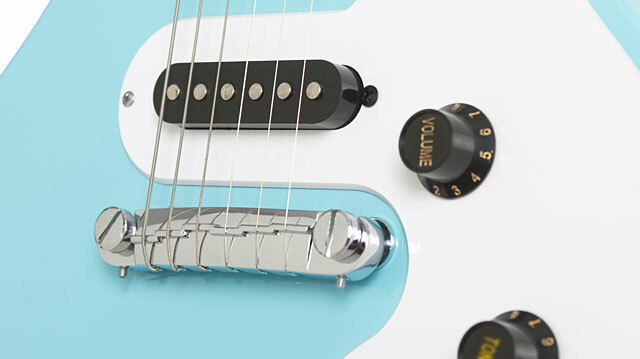 The SL’s Master Volume and Master Tone knob controls both pickups. The Les Paul SL™ Starter Pack includes an easy-to-carry "MityPRO™” 3-watt Mini- Amplifier operated by either a standard 9Volt battery (included) or an optional AC/DC input. The "MityPRO™” amp has controls for Volume, Gain (Distortion), and Tone along with a standard ¼” instrument input, an Aux In/MP3 input, and headphone output. Gigbag, eMedia Lessons, Tuner and more! 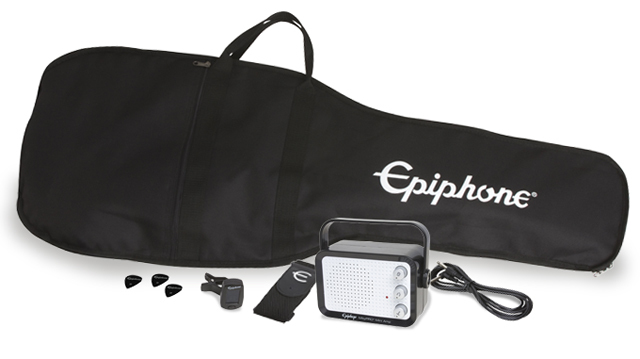 Included with the Epiphone Les Paul SL™ Starter Pack is a set of Epiphone picks, a standard ¼” guitar cable, Epiphone strap, and a Clip-On Headstock tuner. You can also go online and take FREE lessons with eMedia in English, French, German, and Spanish. eMedia’s introductory guitar lessons offer easy instructional videos that expand to full-screen. The eMedia software includes new interactive feedback on melodies and a full complement of helpful tools such as the new Note Tracker and Finger Tracker, which show you what you’re playing in staff notation and also on an animated fretboard. This amazing technology tracks your progress through the song as you play! Songs and exercises can be heard either as live recorded audio or as MIDI tracks that you can slow down or speed up. The Les Paul SL™ Starter Pack is available in Ebony, Heritage Cherry Sunburst, Vintage Sunburst, Turquoise, Pacific Blue, and Sunset Yellow color finishes. The Les Paul SL™ Starter Pack is backed by Epiphone’s Limited Lifetime Warranty and Gibson 24/7/365 Customer Service. Visit your Authorized Epiphone Dealer and take home a Les Paul SL™ Starter Pack today!